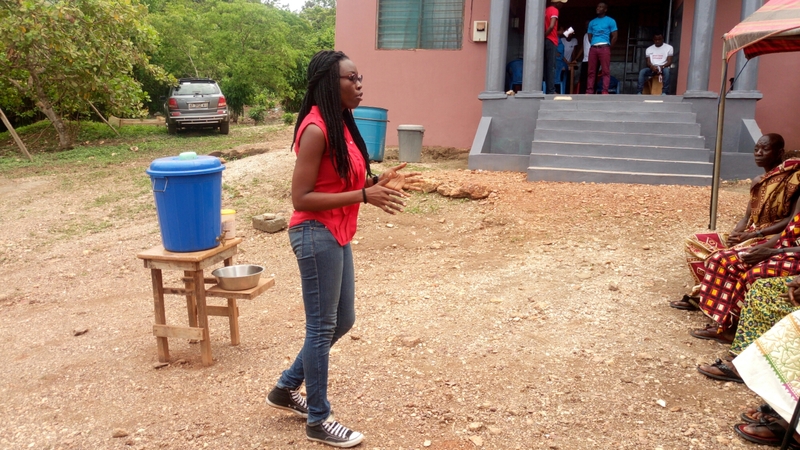 The Sompre Project organized by INSPYA Ghana was an amazing experience for the Sickle Life team. 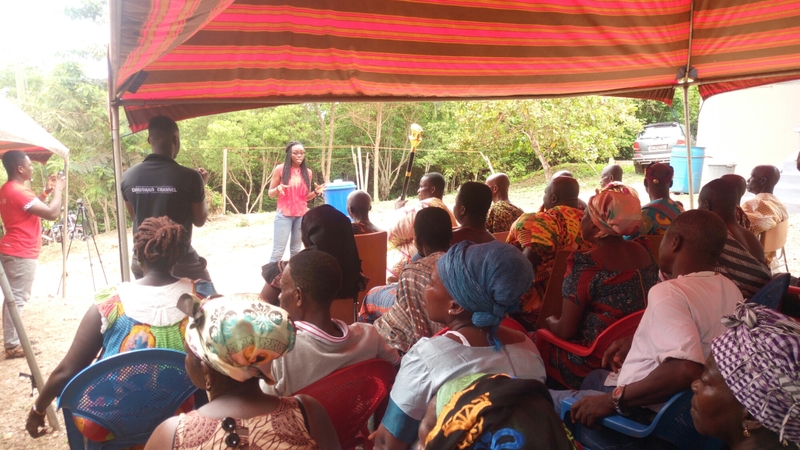 Collaborating with the Jessy Dadzie Foundation as health partners, the Sickle Life team was exposed to life in a rural setting in a way that was new to us. The entire team, comprising volunteers from Sickle Life, The Jessy Dadzie Foundation, INSPYA, AISECC, CKC Africa, Rotaract Adentan etc left our meeting point at the University of Ghana for Sompre on Thursday the 17th of March 2016. The journey, which was well over 10 hours by bus, exposed us to beautiful Ghanaian scenery and offered an opportunity for members of the various organizations to interact and get to know each other better. On arrival, we immediately retired to our “hostel”, as it was past midnight and everyone was exhausted. The next morning we took a brief tour of the village by bus and met the Chief, Queen Mother and elders of Sompre. This was a new experience in Ghanaian culture as we witnessed the chief’s spokesmen in full force, performing their duties and offering traditional prayers to welcome and protect us throughout our stay and on our journey back. We then proceeded to work. The INSPYA team went off to the local schools to mentor the children, paint blackboards and donate educational materials, used clothes etc to them. The health team remained at the Chief’s palace and begun our health screening and health talks. This screening is very useful because we don’t often go to he hospital. We have been inspired.~Gloria, 45, Farmer. Dr. Adamson from Sickle Life begun the session with a talk on maternal and child health as well as personal hygiene and hand washing. After which Sickle Life founder, Dr. Bankas discussed sickle cell disease and finally Dr. Awotwi educated the Chief and people of Sompre on hypertension and stroke. The people were very receptive and asked several questions which were answered by the respective presenters to their satisfaction. I already knew about sickle cell disease before today’s programme. 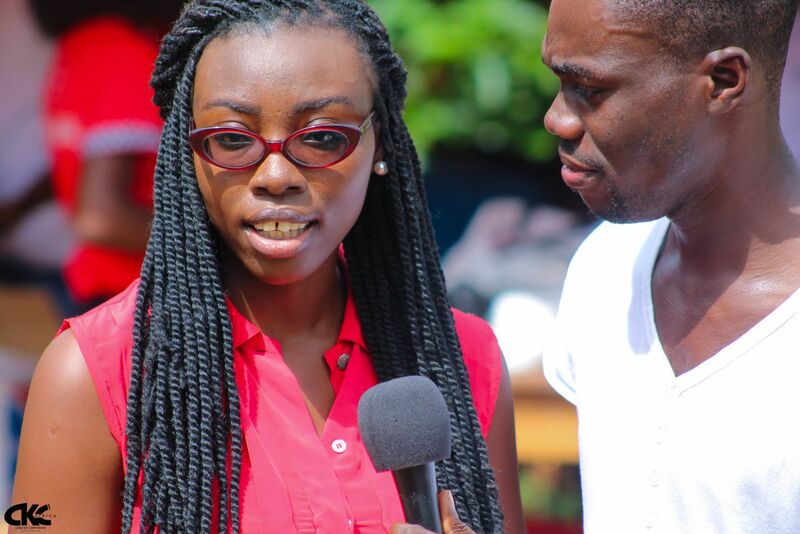 I knew that it is a blood disorder, but today I learnt that it can be passed from parents to children.~Joyce, 29, Worker. After the talk the health screening process begun. Our nurses’ station collated client information and checked vitals such as blood pressure, temperature and also body mass index. The patients then proceeded to see any one of four doctors from the Sickle Life team. Common complaints were body aches, eye irritation as well as visual disturbances and abdominal pain. A good number of the elderly patients were found to have elevated blood pressures and were counseled on the need to have a repeat check and strict drug compliance if they were later confirmed to be hypertensive. Several babies were febrile and were managed within the constraints of our resources. Where appropriate referrals were made to the district hospital. Random blood glucose as well as Rapid Diagnostic Tests for Malaria were performed at the laboratory station. A major limitation here was the inability to have sickle cell tests which were planned but unfortunately had to be scrapped due to circumstances beyond our control. 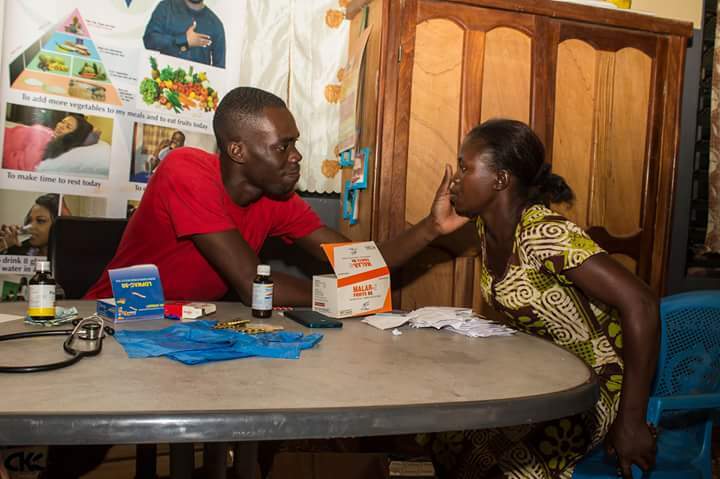 Medication provided include paracetamol syrup for babies and dewormers for both children and adults, multivitamins for people found to be anaemic, analgesics, antacids, anti-malarial medication, cough syrups and where appropriate, antibiotics. A limitation with our pharmacy station, was insufficient medication. By the middle of the second day we were out of many of medication and had to use some drugs from the CHPS compound and eventually request that people purchase their own medication. 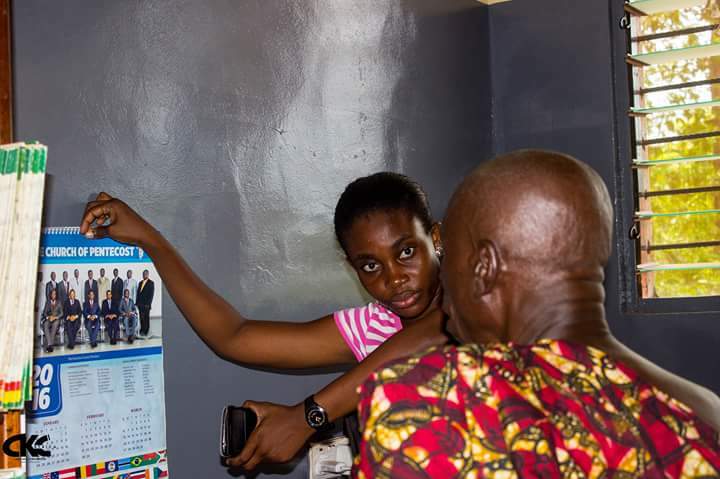 We recommend that in subsequent programmes more medication be purchased and enquiry be made about the peculiar health needs of the communities visited to ensure efficient utilization of resources in providing medication and medical personnel. Also, it is imperative that on subsequent programmers, the challenges which prevented the inclusion of sickle cell test are addressed effectively. I did not know about sickle cell disease before this programme. I learnt that it is in the blood and I can protect my children from it.~Mala, 29, Farmer. A total of 289 adults and children were seen over the two day period. Of the number 176 adults participated in a Sickle Cell Disease mini-survey. Of the 176, 153 had no knowledge about sickle cell disease prior to the health talk while 23 had prior knowledge of the condition. None of the respondents knew their sickle cell status. This mini survey indicated a low level of knowledge about Sickle Cell disease amongst the people of Sompre and surrounding villages. It is essential that such health education programmes be organized in Sompre and places like it and in addition testing and counseling be made a basic component of such programmes. These we believe, will put the people in the right position to make informed decisions about sickle cell disease. On our final night in Sompre, the Chief and people organized a bonfire, which for most of us, was a new experience. His benevolence extended to providing a goat for our final communal meal and ensuring that we were well fed and safe through out our stay. The Sickle Life team is very grateful God for a safe outreach, the Chief and people of Sompre for welcoming us to their town, INSPYA and Jessie Dadzie Foundation for having a peaceful and insightful working relationship, CKC Africa for their beautiful photographs and videos and all other sponsors, partners and donors who made INSPYA’s trip to Sompre a success. Sickle Life is available to partner on any other such programmes with other interested organization or group. I came with the expectation of meeting new people, rendering my services to the people of Sompre for free and finally a great adventure. Lessons: Critical planning solves a lot of challenges, especially when done with experts in the required field. I also learnt that people are more important than money.~Dr Nana Kwasi Appiah, Sickle Life. 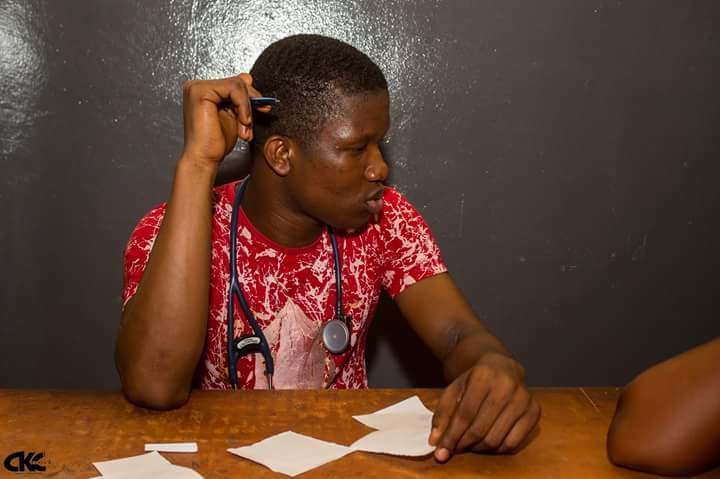 This entry was posted in Blog, News/media and tagged #Sompre2016, Ghana, medical screening, sickle cell disease, volunteerism. Bookmark the permalink. ← My Sickle Life: The Pain.